Gimpo's M25 25 Hour Spin has happened once a year, on the weekend closest to the spring equinox, since 1997. It will continue until the 25th spin, in 2021. You can read Bill Drummond's account of his participation in the 1st spin here. And see pictures here. At Work has joined in on the 5th and 8th spins. The man behind Iron Man Records participates. He made this above film, and then added At Work's remix of "We Broke: Down" by Floods as the score. This glimpse into the 25 hours takes in the highway ambiance as the caravan makes its way through the wee morning hours of an early spring night, following the Orbital, crossing over the Thames on the Queen Elizabeth II Bridge into Essex, with still hours yet to go. "We Broke: Down (At Work) is taken from the Floods EP, Intermission (PATH16) available from Batona Music at http://batona.bandcamp.com/album/intermission. Released November 10, 2012. Filmed around London on the M25 Orbital, March 24, 2012. Directed and produced by Iron Man Records. From the At Work album, A Very Slow Collapse (PATH10) available from Batona Music at http://batona.bandcamp.com/album/a-very-slow-collapse. Released April 30, 2012. "Space Available (City Rain's Fell So Far Mix)" is taken from the At Work remix album, Build It Up, Break It Down–Remix (PATH4) available in digital formats from Batona Music. Original version appears on the At Work album Build It Up, Break It Down (PATH1) available on CD and digital formats from Batona Music. 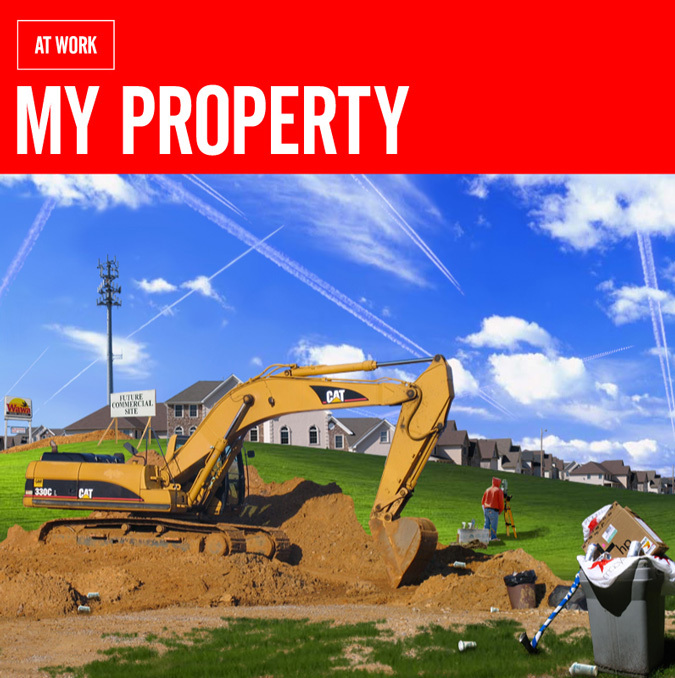 Visit BandCamp to download My Property. "Her Heart" is an unsolicited remix of Double's 1986 international success, "The Captain Of Her Heart." "Her Heart" is available for free on "My Property" (PATH7), from Batona Music at BandCamp. Free 10 Minute Break download from BandCamp. A short video by At Work, made in New Jersey, June 9, 2011. "Plate 909" is taken from the At Work remix album, Build It Up, Break It Down–Remix (PATH4) available in digital formats from Batona Music. "Darker Earlier (Dropping Acorns)" is taken from the At Work remix album, Build It Up, Break It Down–Remix (PATH4) available in digital formats from Batona Music. "S Curve Acceleration (Remixed by Knife Jams)" is taken from the At Work remix album, Build It Up, Break It Down–Remix (PATH4) available in digital formats from Batona Music October 2010. Attempt at inversing the relationship between IDM and car culture instigation by At Work. A short film by At Work, made on the New Jersey Turnpike, northbound lane, October 11, 2007.